Solar Art installed custom wall art for Niagra Conservation at the LACI, Los Angeles Cleantech Incubator, in downtown Los Angeles, California! 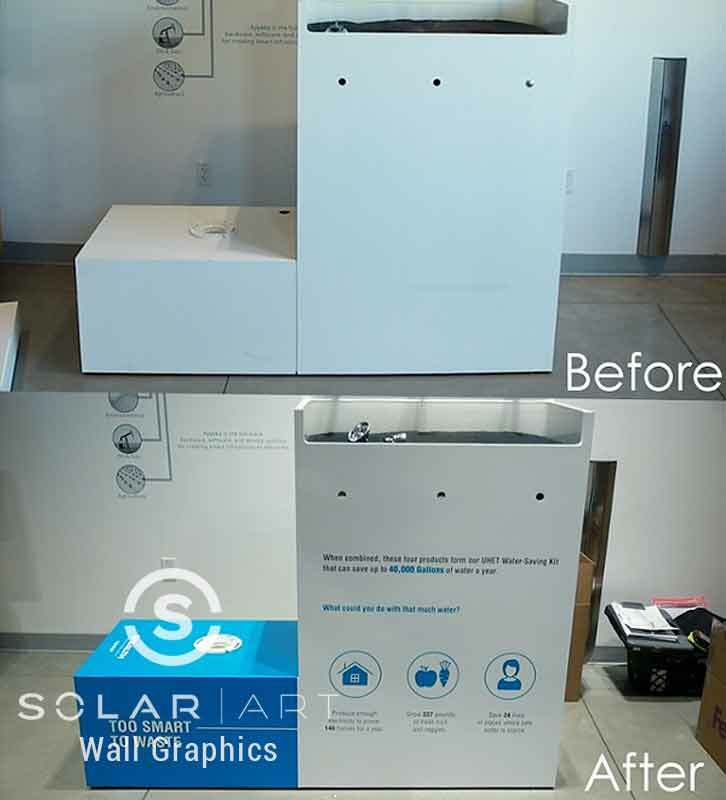 Niagra Conservation contacted Solar Art to print and install custom wall art to display their brand in an event space that educates consumers on sustainability. 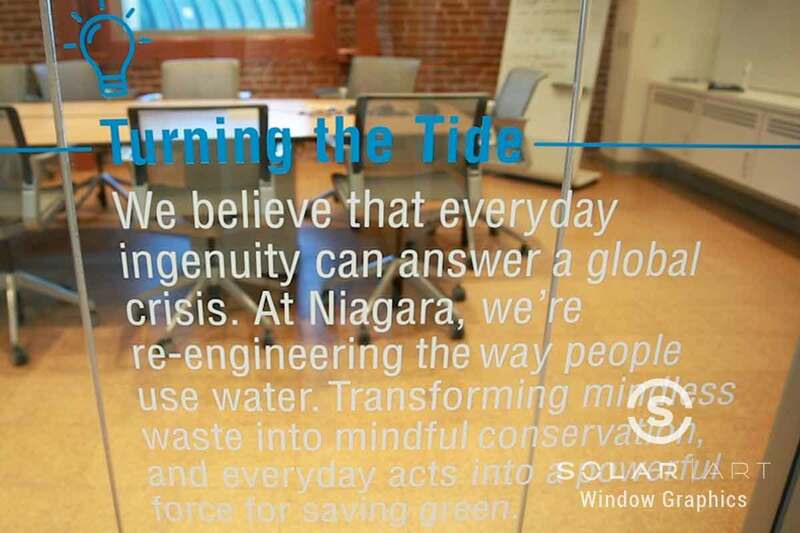 They provide innovative and more efficient ways to conserve water without sacrificing performance. The customer wasn’t sure what they wanted exactly, but worked with our team to express their goals. Understanding what their goals are as a company better helped us understand their need for creating a unique display that was effective in getting their message across to consumers. They worked closely with both our sales representatives and graphics team to create the custom wall art for the event. The customer decided to have large demo wraps, window graphics, mirror graphics, posters and hanging banners installed to really promote the event. Check out the video of the installation! Feeling comfortable in the work environment and building company culture are instrumental in attaining success in the workplace. Custom wall art are perfect when it comes to building a brand and recharging energy. Having your brand name supported around the workplace leads to a more productive environment. In addition to custom wall art, Solar Art also services solar film, decorative window film, anti graffiti film, security window film and exterior building wraps. Solar Art does residential and commercial installations. All window film is easily removable with no damage to the surface. Contact Solar Art today for a free quote! Interested in Custom Wall Art? Custom wall art works great in work events to promote an event. Custom wall art is easily removable with no damage to the surface. Custom wall art gives you the flexibility to create any design you want to customize the space. Contact Solar Art to learn more!